China Markers make beautiful bold strokes on almost any porous or nonporous surface, including on glass, plastic, film, paper, metal, rubber and almost any surface. Bright colors deliver vivid marks. Marks easily wipe away clean from any smooth surface. 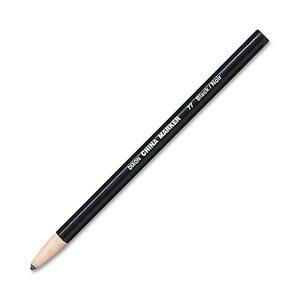 Moisture-resistant, break-resistant markers are paper-wrapped with tear strings for sharpening so no need for a sharpener. They are certified PMA nontoxic.